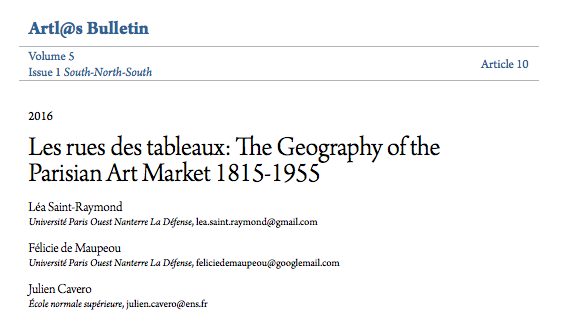 GeoMAP stands for Geographie du marché de l’art parisien and it maps all the “marchands de tableaux” (art dealers) that were mentioned in the Bottin du commerce, in Paris, from 1815 through 1955. The articles giving further details can be found here, for the statistic and quantitative approach, and here, for the mapping of the Parisian art dealers. GeoMAP project is an open access database. 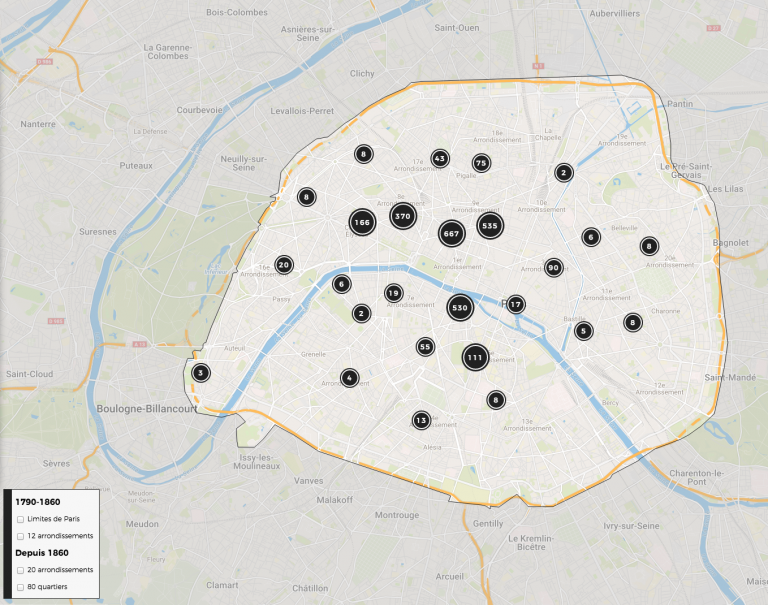 Researchers can look up and visualize art dealers in Paris by using the timeline or navigate the map : the GeoMAP project is thus both a repository of the Parisian dealers, and a tool of visualization. GeoMAP was developed by Julien Cavero, who is cartographer at the Ecole Normale Supérieure (Labex TranferS) and the data were collected by Félicie de Maupeou and Léa Saint-Raymond. The website will be available in English soon.